As a fourth-generation baker, Buddy Valastro is known as one of the biggest names in the industry, taking his local bakery and building it into an international empire. 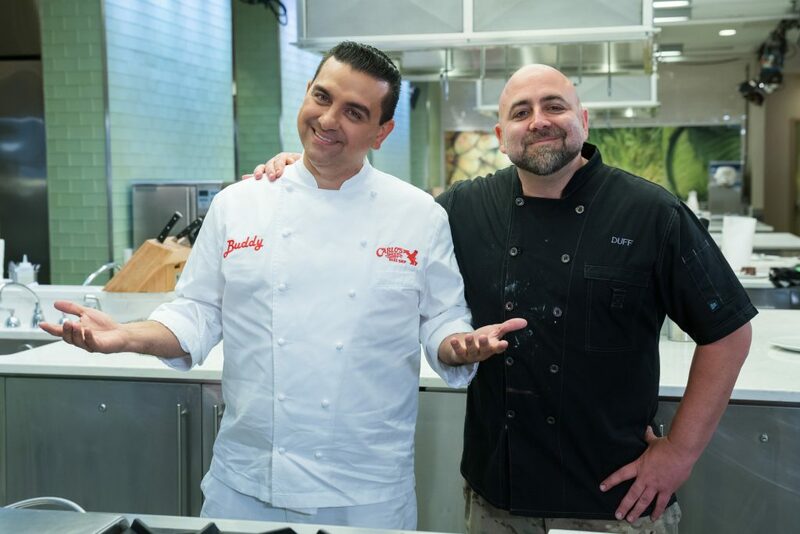 Now, Buddy is paying it forward on new series Bake You Rich, as he gives the opportunity of a lifetime to professional pastry chefs as they compete to have their treats produced by the Cake Boss and sold on Carlo’s Bakery website immediately following each episode. The four-episode series kicks off on Sunday, April 14th at 10pm ET/PT, as four bakers whip up delectable and innovative treats in three rounds of challenges that will test their baking and business skills to prove to Buddy and a panel of rotating judges including Chad Durkin, Erin McGinn,Vincent Tubito, and Buddy’s wife Lisa Valastro that their treats will rise to the top. But, only one talented baker in each episode will cream the competition and go into business with Buddy. For years Duff Goldman has designed top-tier cakes for renowned clients that are beyond their wildest imaginations. Now, the Ace of Cakes star is using his artistry to create amazing, showstopping cakes for deserving people on Duff Takes the Cake. Beginning on Monday, April 15 at 10 p.m., Duff and his A-team of talented designers, builders, and cake decorators are engineering epic creations for good-hearted people serving their communities to celebrate special milestones. In five half-hour episodes, Duff and his team work around the clock to meet impossible deadlines, defeat design challenges, and overcome delivery obstacles, but the reactions to their incredible designs are always the icing on the cake!